Have you ever heard of the blog, Listed District? It’s where blogger Ellen Richardson, who has been profiled in Refinery29 and Urban Turf and others, lists out her favorite Craigslist finds from the D.C. area. I have long been a proponent of Craigslist shopping and selling. 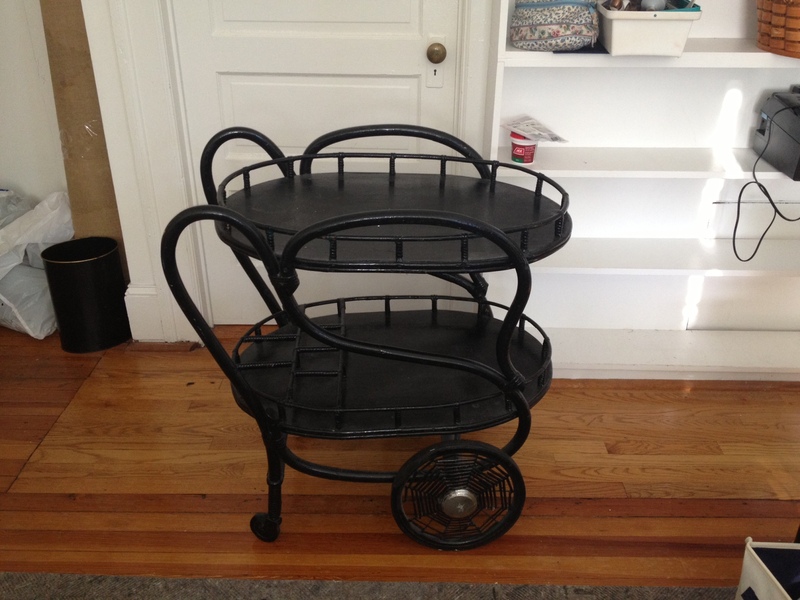 In fact, in true Listed District style, I listed my vintage bar cart for sale just yesterday. She’s a beauty, no? I’ve wheeled more cocktails around in this cart than I care to remember. It’s been my staple party service since 2006. I’m sad to see her go, but there is no room for her in the new apartment. I’m hoping she finds a good, cocktail-loving home. 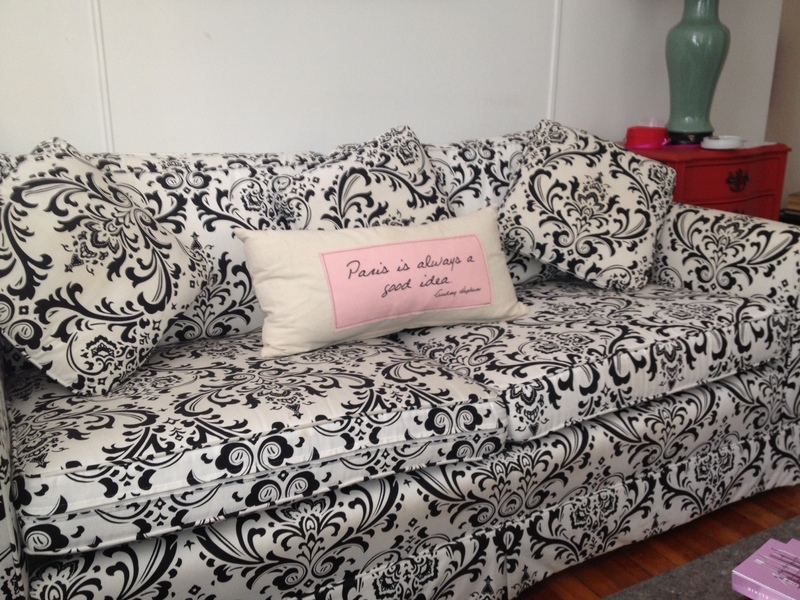 By far, my most perfect Craigslist score is my couch. I bought it for $150 when I moved into my first apartment, and it’s been with me ever since. It’s the perfect apartment size couch. Big enough to lie down on (though my feet do pop off the ends), but small enough to not overpower the room. It even came already covered in the adorable black and white fabric! It was the best $150 I ever spent. Hands down. With the move this week, I’m not looking to add any new items to my ever-growing pile of stuff. However, I couldn’t help taking a quick look at CL to see what gems were lurking out there. Check out this fun metal shelf. I love this mirror too. Admittedly, I’m a little obsessed with mirrors. They help add some dimension to my mini Georgetown apartment. I own at least 6. This vintage leather coffee table would be great with some leather conditioner, a new piece of hardware, and a fresh coat of white paint. Perfect for a sunny room! What about you? What’s your favorite Craigslist score?